The Plutus Foundation is grateful for our relationship with Heroes at Home, a 501(c)3 nonprofit organization that brings financial literacy to the military in a tour featuring an engaging presentation. Heroes at Home has been a sponsor of the Plutus Awards, and this year, the Foundation sponsored the organization’s visit to Pensacola Naval Air Station. You can support our efforts to help members of the financial media community execute their programs by contributing to our #GivingTuesday campaign. You can also support Heroes at Home directly at their website linked above. This report was prepared by Bethany Bayless, emcee of Heroes at Home — and host of the 8th and 9th Annual Plutus Awards ceremonies. Heroes at Home blew into Pensacola Naval Air Station like a storm — actually, the Tropical Storm Gordon. 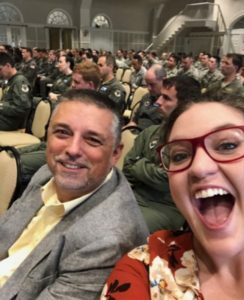 The Heroes at Home speaker team barely made it to Florida ahead of canceled flights and delays to stay at Pensacola Naval Air Station and provide free financial education to the Airmen, Sailors and Marines stationed at that base. 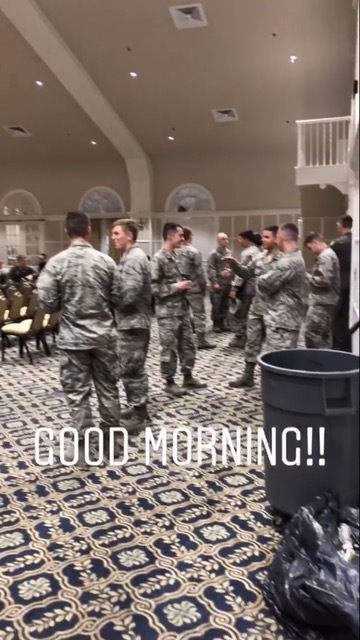 The morning of this free event, the base was closed due to the storm to “all non-essential personnel.” But since financial readiness equals military readiness, the Heroes at Home event was deemed an essential event, and its speakers were given Distinguished Visitor status. In the military, a service member must maintain financial health or they could lose their security clearance. 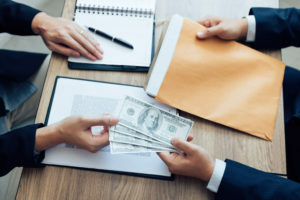 If a military member has excessive debt or other money issues, they could be a target for compromised security and they are kindly asked to leave the military since they cannot hold their security clearance. This is one of the many reasons financial education is so very important to our young military members. Our audience consisted primarily of Airmen who were going through Combat Systems Officer Training, to become Electronic Warfare Officers and Navigators. Since flying was canceled, we had almost all the students present from the CSO course and they were enthusiastic and engaged with the program. The audience was almost all servicemembers in uniform, and they primarily ranged in age from 23-25. They seemed eager to begin their military careers financially healthy. They were released to come to our program during the duty day because of the importance given to financial education by the Command. They left excited and with autographed copies of 200 books for the 200 servicemembers present. Many expressed gratitude for our sponsors and our speaking team who weathered a near hurricane to provide this essential education. 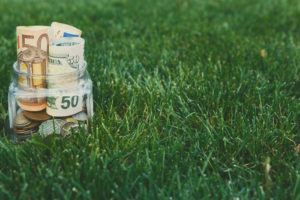 Our four top level speakers trained the audience in budgeting, how to purchase a vehicle without excessive debt, how to plan for retirement, how to build savings, and other special financial programs only available to military audiences. Thanks to the Plutus Foundation, this program was executed flawlessly, and was the 26th and final event at 17 bases in 4 countries. This was also the conclusion of a very successful 2017-2018 Heroes at Home world tour. Later that night, we were staying on base when the storm gained force, the entire base population lost power and we were in the dark for many hours. But once the lights came on at 1:30 AM, we were back on track to get home that day. We could see how valuable our time had been at Pensacola. Many thanks to the Plutus Foundation for helping to sponsor this event and for making a difference in the lives of our young servicemembers.